When I was a little boy, the general knowledge quizzers in schools were always puzzling - and difficult to pronounce when it came to names in French. 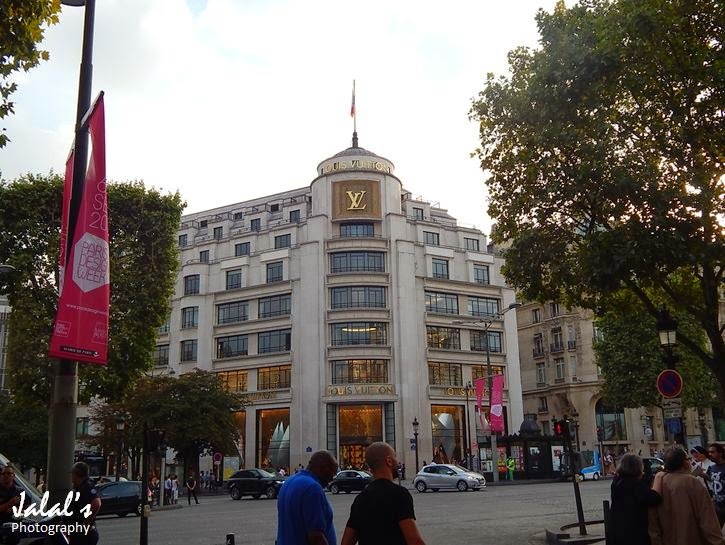 And one of the question was: Which is the famous shopping street of Paris - and the answer was Champs-Élysées. Now the pronunciation of this word is 180 degrees out if someone does not know the French language. So while we finally began to memories the actual pronunciation, we continued to spell it exactly as it is written in English - and start to get full mark for answering the question. That besides, I always wanted to visit France for its Eiffel Tower, Arc de Triomphe, where the victory parade is held and we watched on TV and films and of course our hard earned and difficult to pronounce Champs-Élysées. So when I visited France in September last year as part of the first leg of the Schengen countries, all these three landmarks and the Notre Dam (having seen the film Hunchback of Notre Dam) were on my visit list. 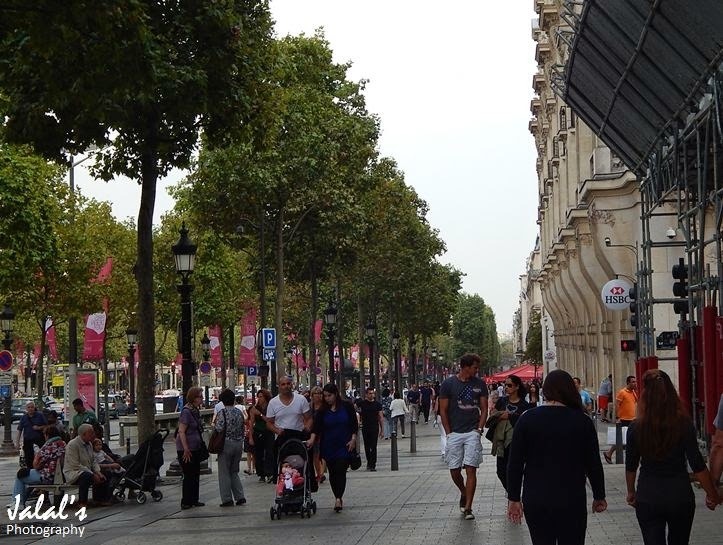 I have already wrote about my maiden glimpse of the Eiffel Tower and Paris as seen below besides a visit to the Arc de Triomphe, here is how I saw the difficult to pronounce Champs-Élysées. 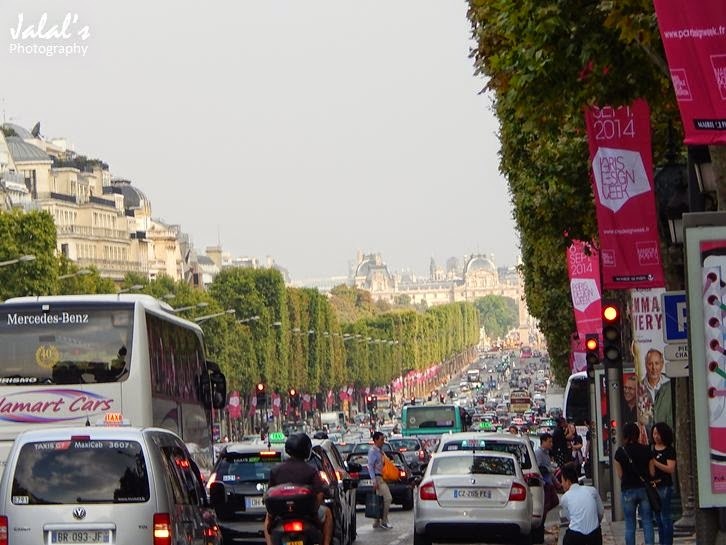 Those who have been Paris would know that Champs-Élysées is located off the Place Charles de Gaulle square and towards the east of Arc de Triomphe. It is almost 2 kilometres in length and some 70 metres wide. 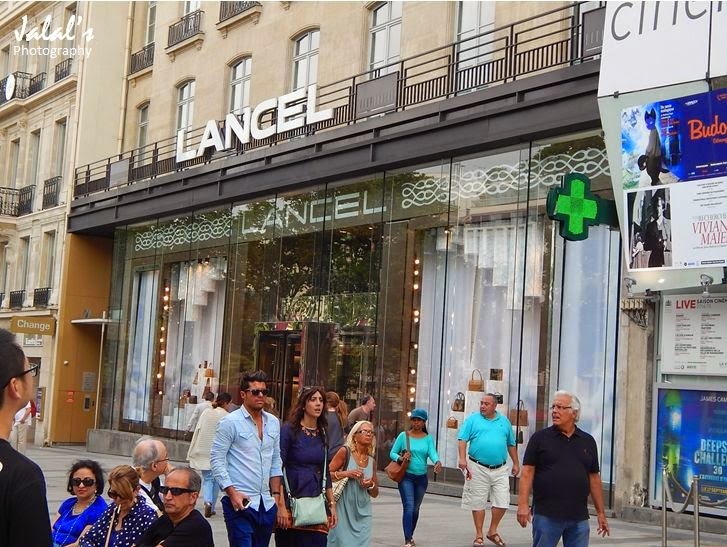 On its both side one can see major French brand names on huge shopping malls. 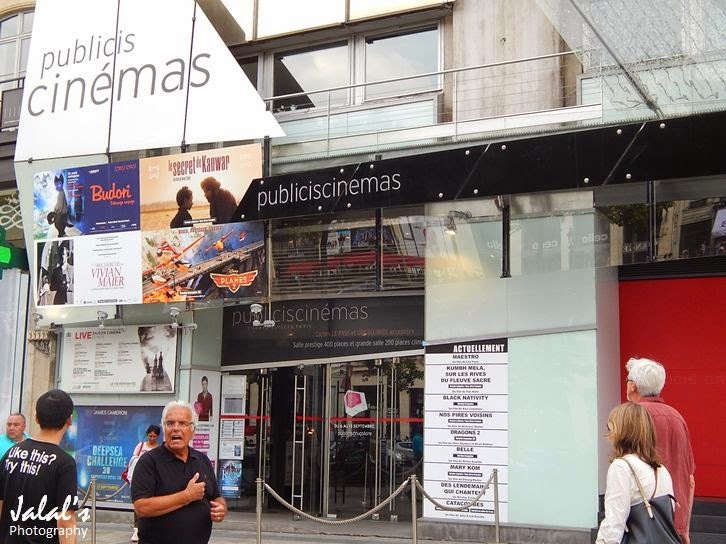 It also houses famous theatres and cafés and is also used for the military parade that takes place each year on the avenue on 14 July to celebrate Bastille Day. As can be seen, a lot of visitors from across the world walk on pavements on both sides of the roads and go to its other end that finishes at Place de la Concorde. For those growing old like me, there are benches placed as can be seen in the photo above on the left side so that one can gather one's breath before resuming walk forward. I too sat down on a bench, while my sons and wife explored countless shops and malls displaying most expensive shopping goods of the world. And therefore ordinary tourists rely more on window shopping rather than actual buying.